Join us to celebrate the 2017 Ai-Kon event year at Sky-Zone. Bring your friends, bring your cosplay and be prepared for an amazing evening! 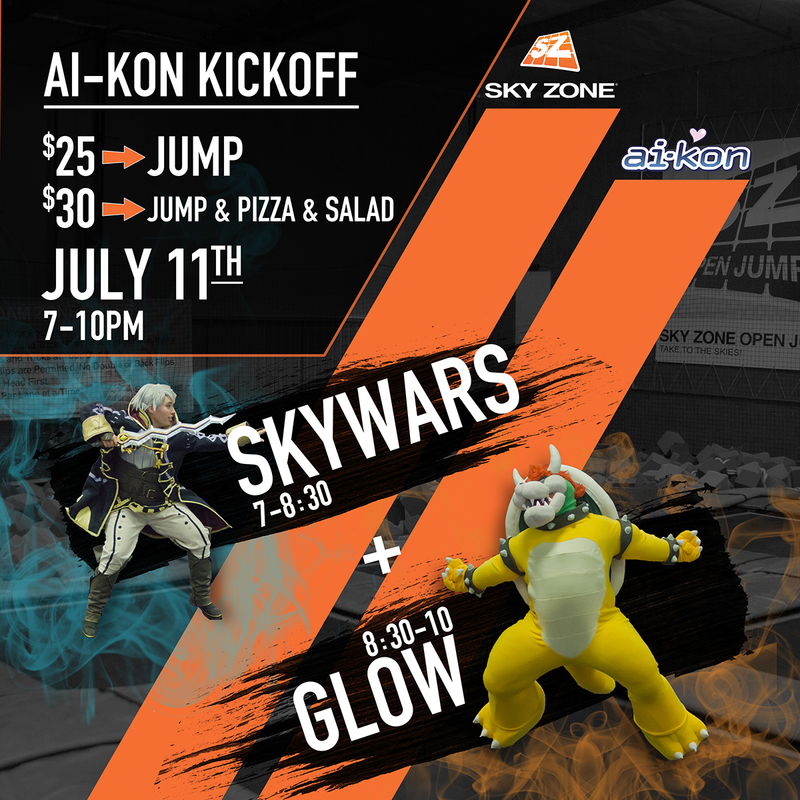 Skyzone will be closed to the public for this private Ai-Kon event. o Don’t own them? Buy them when you show up! ALL JUMPERS MUST wear white or neon shirts between 8:30 pm – 10:00 pm for GLOW TIME! Don’t have a white or neon shirt? Ai-Kon will be selling limited edition “Aiko Nerf Blasting” shirts. The lights go out and the music is cranked! Bounce to your favorite anime music! For safety reasons, all jumpers MUST wear white or neon shirts during this time. Can I just come for 1 hour? It is a set rate for the whole event you can come and bounce anytime between 7:00 pm until 10:00 pm! Show up late, leave early, it’s all OK! Can I bring my friends who don’t come to Ai-Kon?